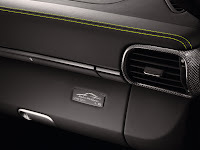 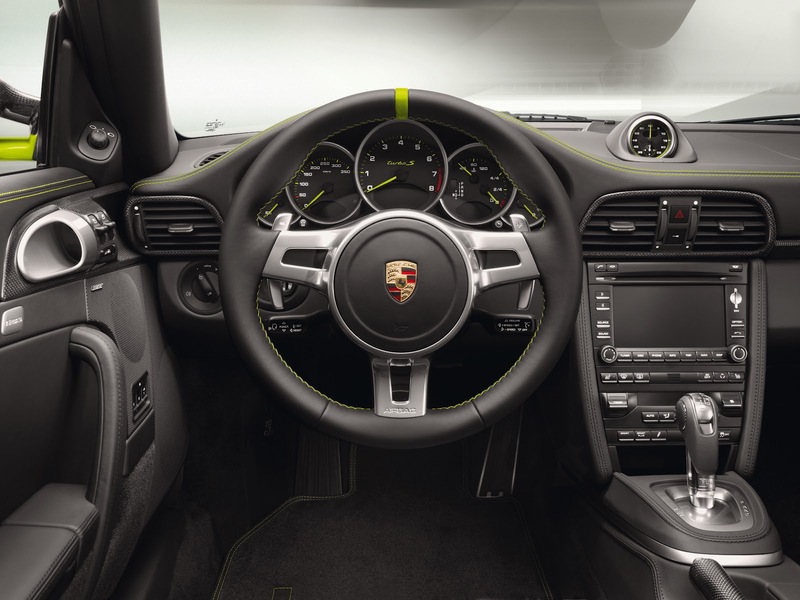 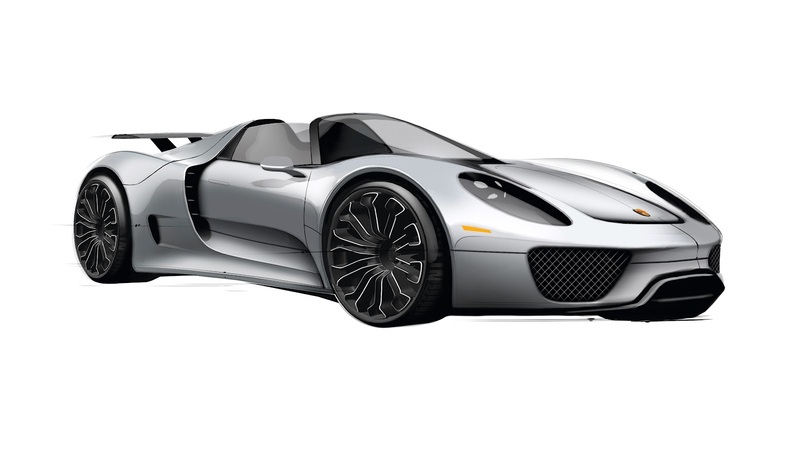 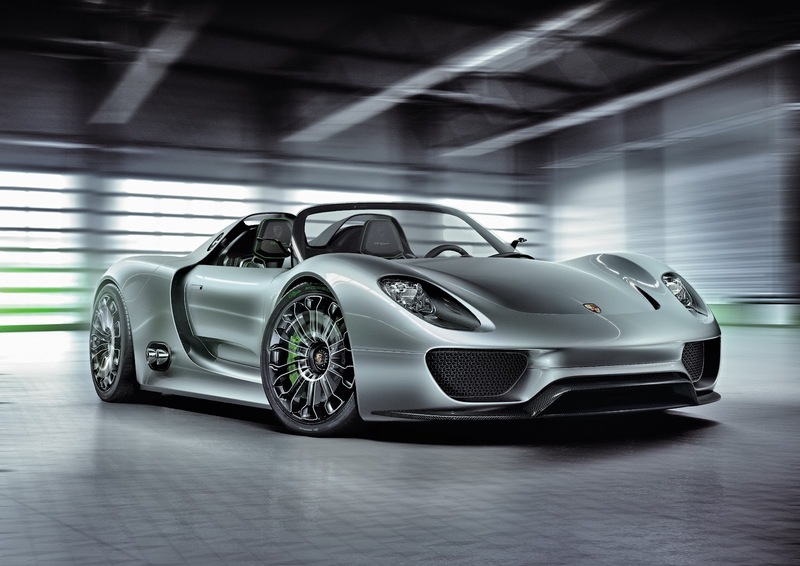 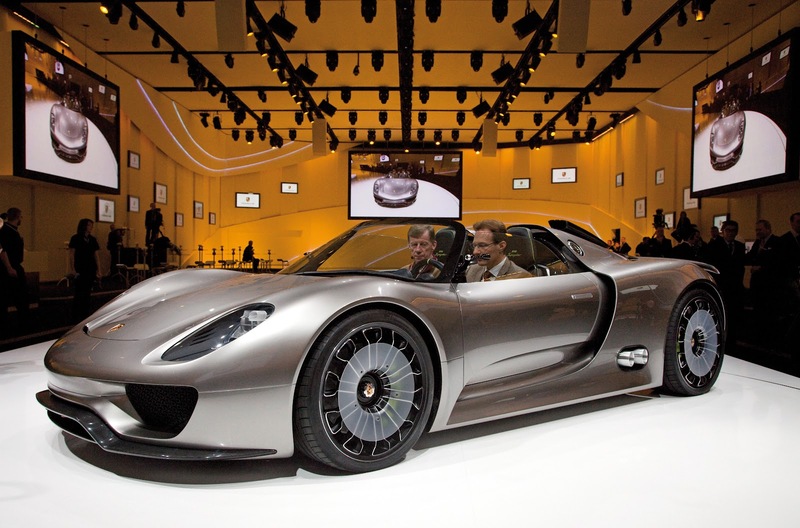 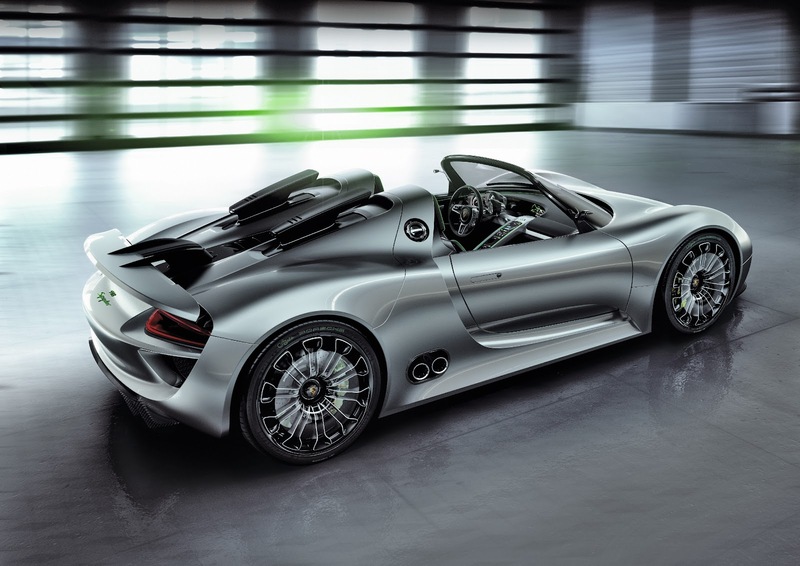 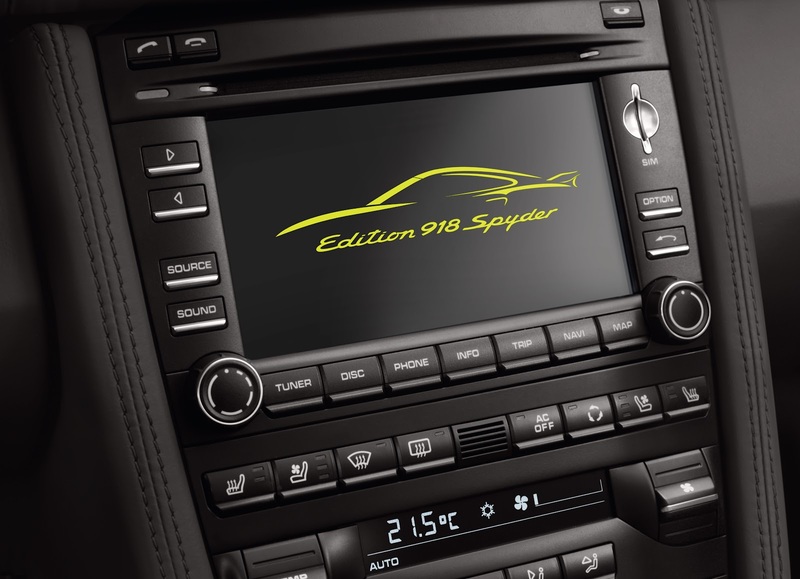 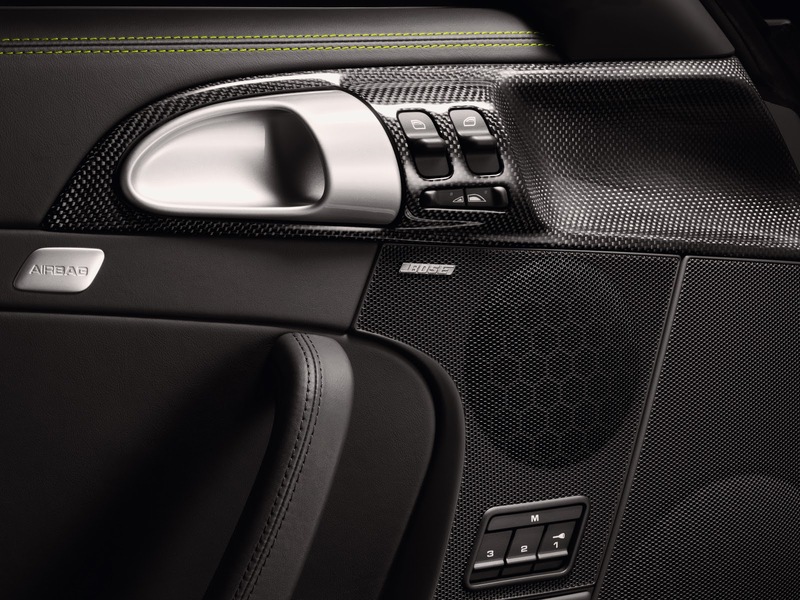 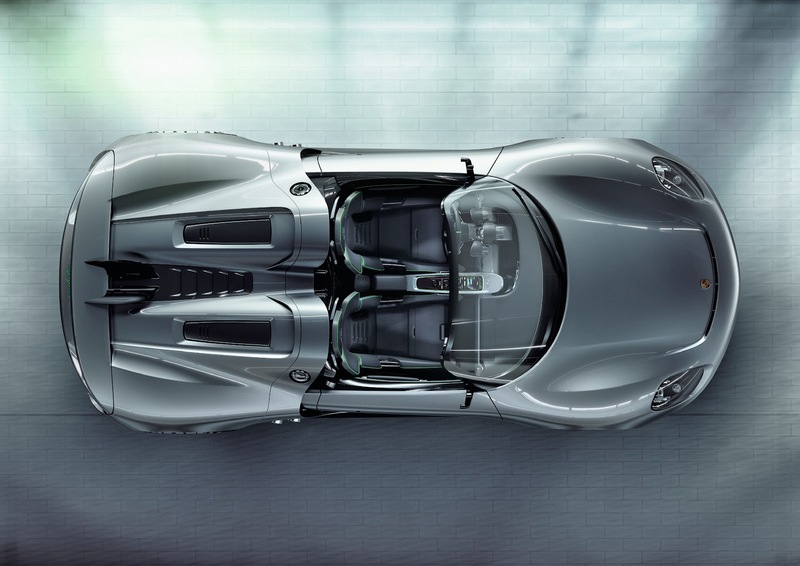 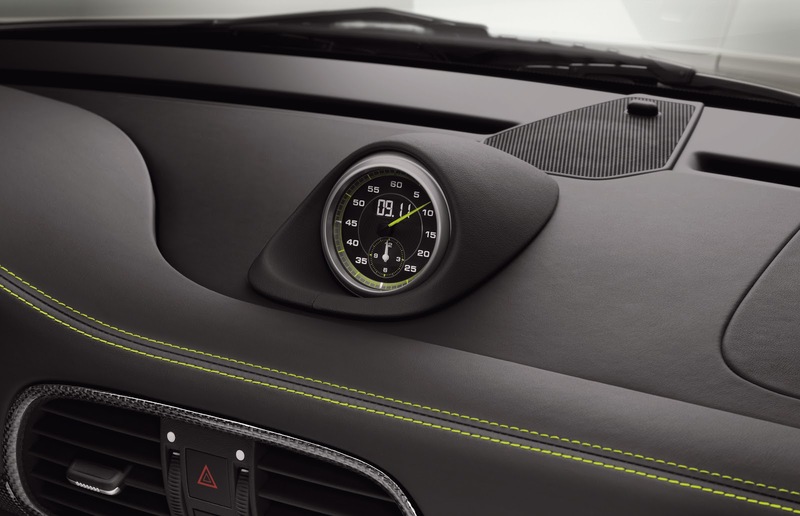 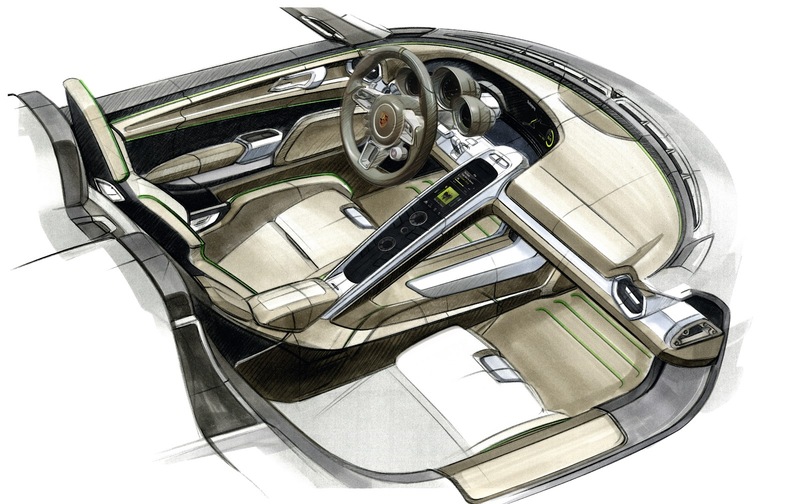 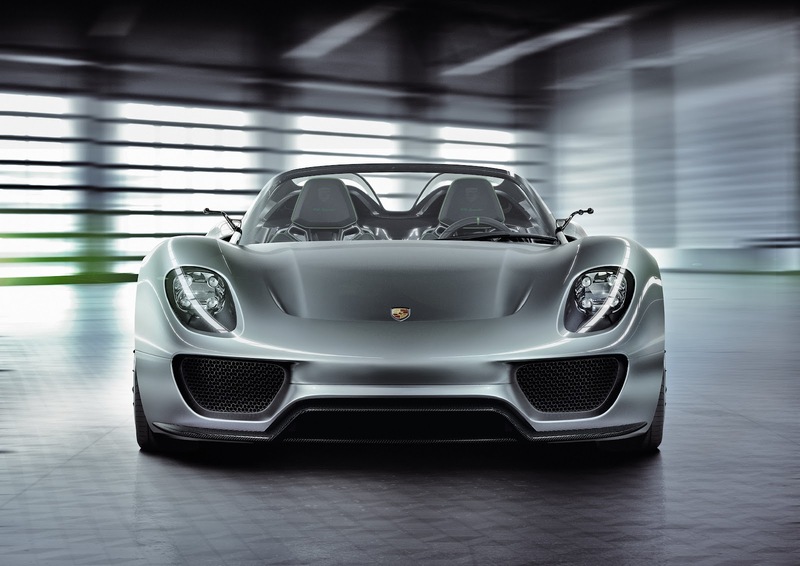 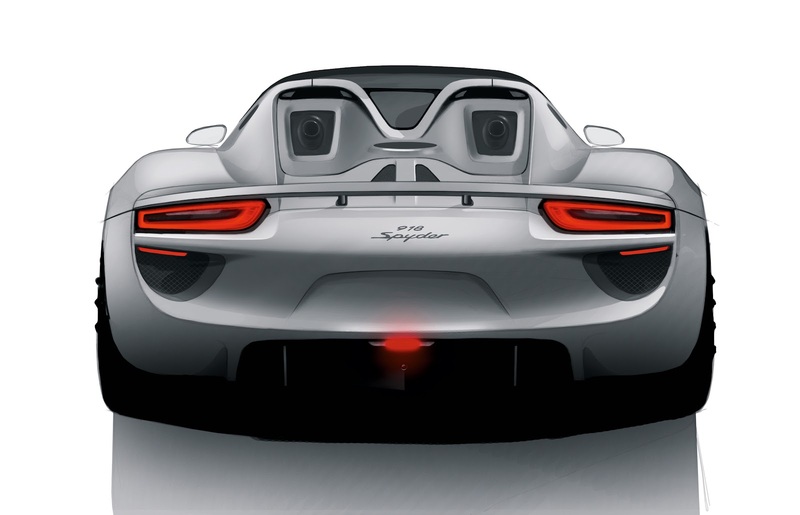 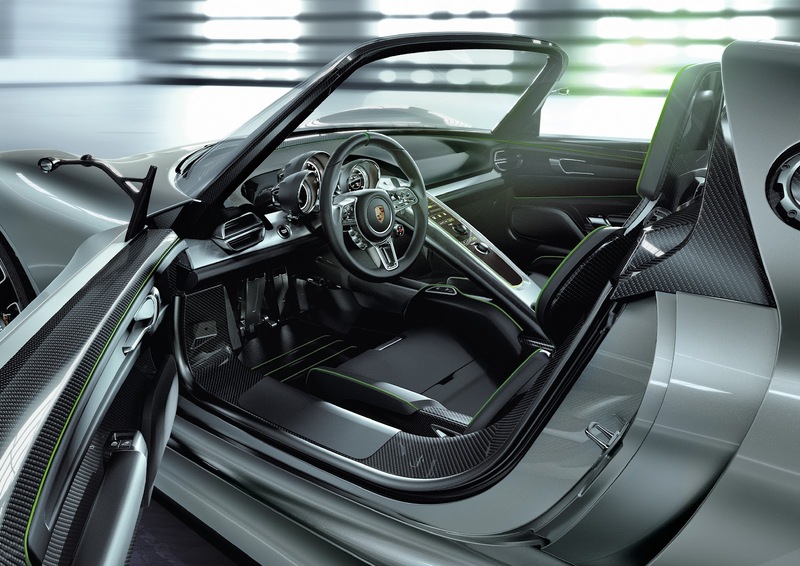 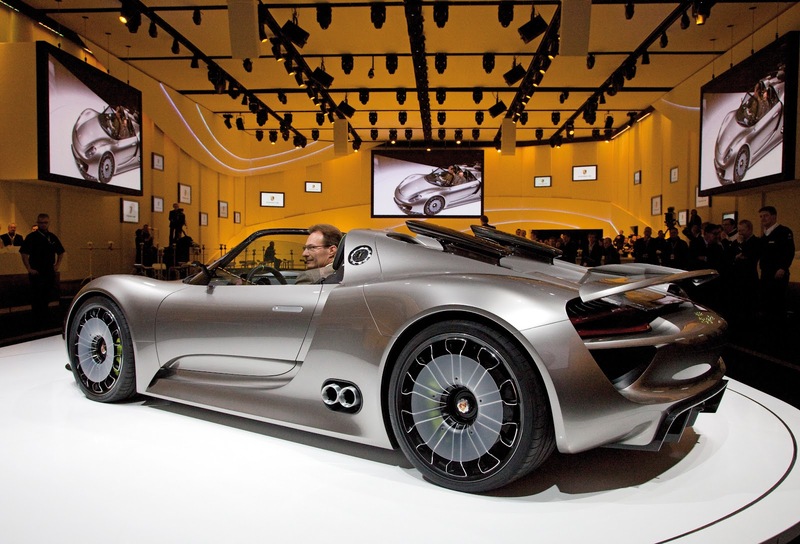 The 918 Spyder is driven by a unique type of plug-in hybrid system. 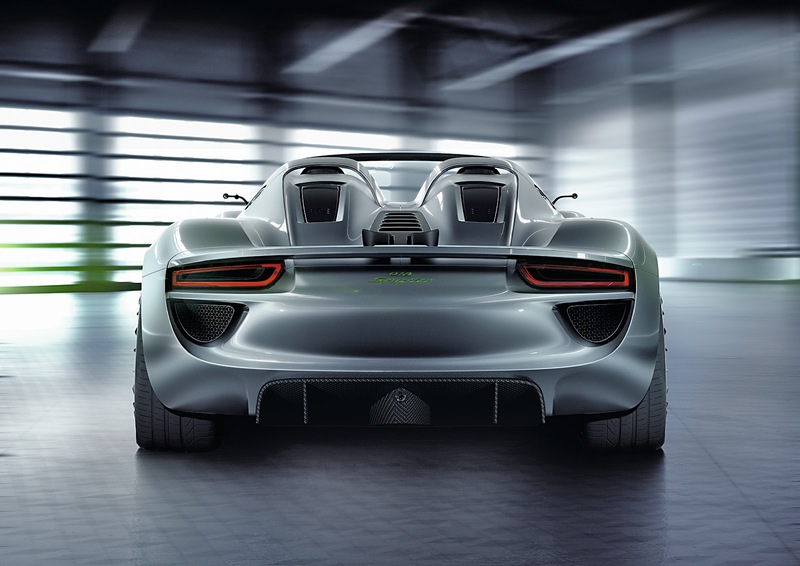 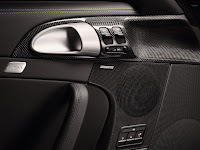 It comprises a high-revving V8 engine with a displacement exceeding four litres and output of more than 368 kW (500 hp). 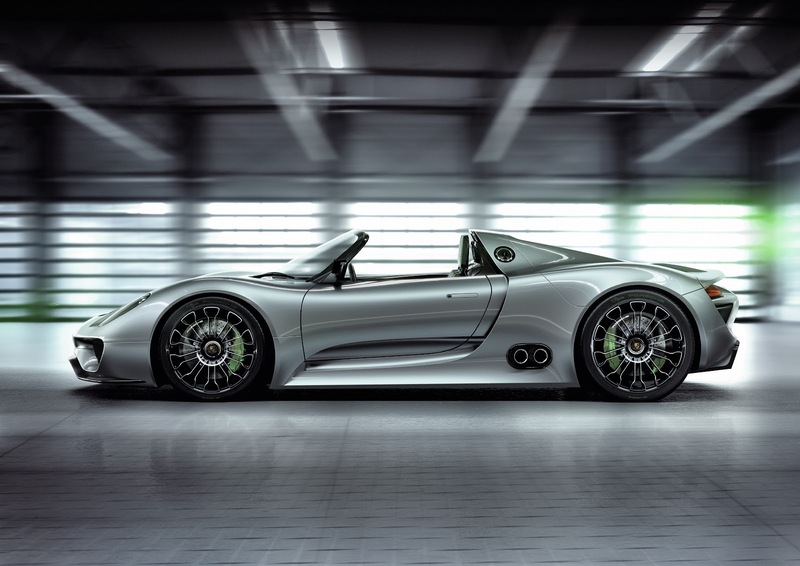 The mid-engine power unit is based on the racing engine of the successful Porsche RS Spyder, which provided impressive proof of its efficiency with its multiple victories in the Michelin Green X Challenge in the American Le Mans Series, the Le Mans Series and the 24 Hours of Le Mans. 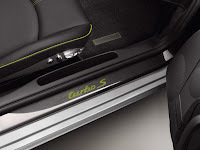 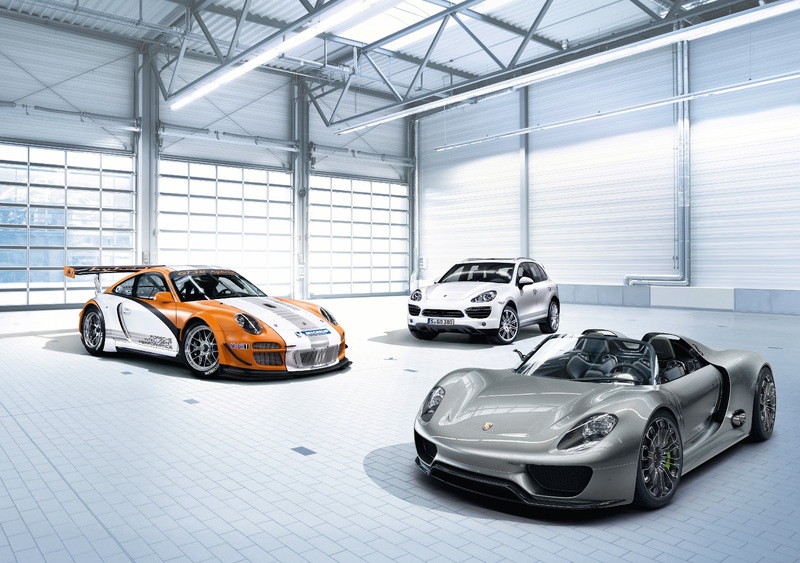 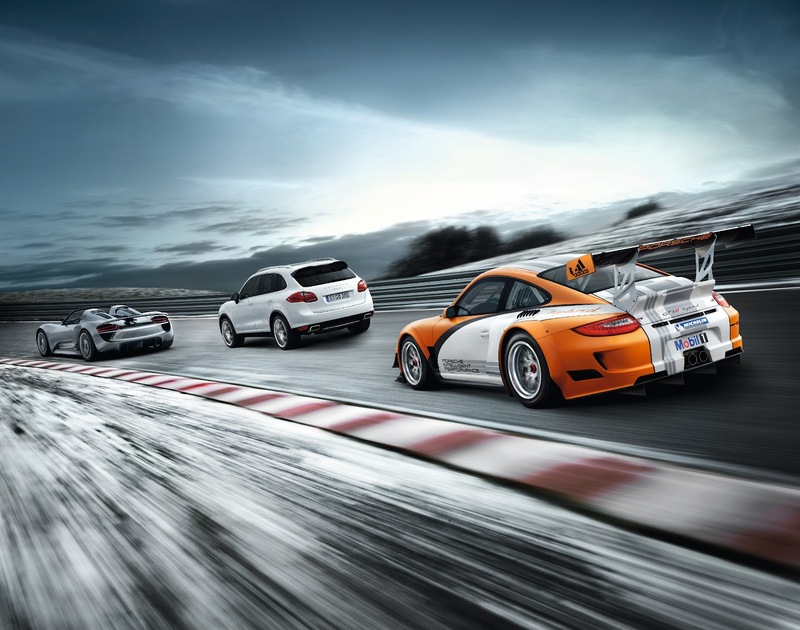 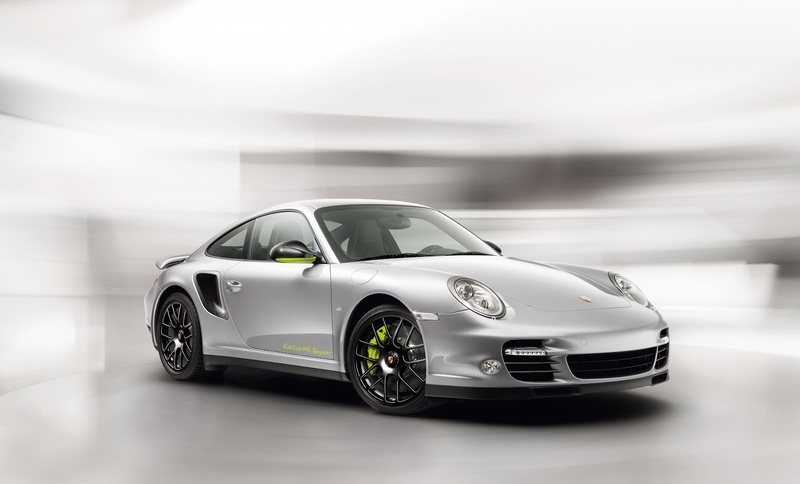 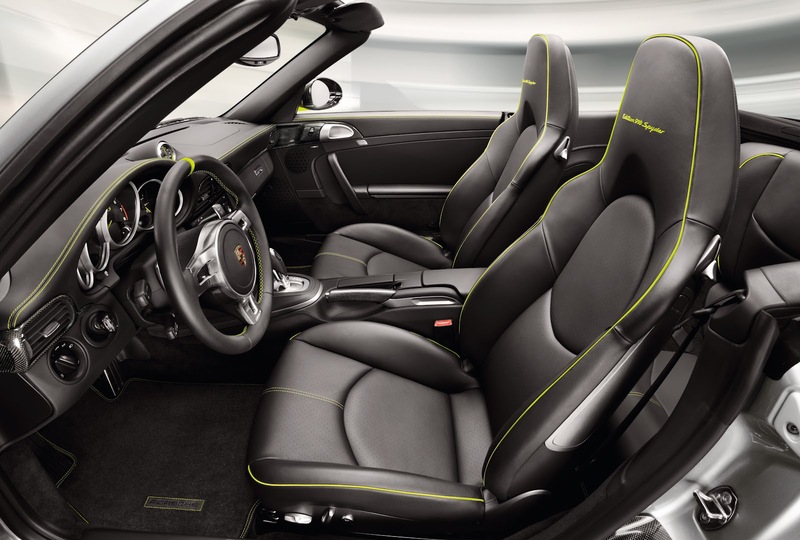 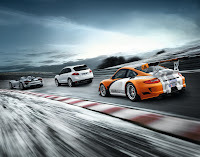 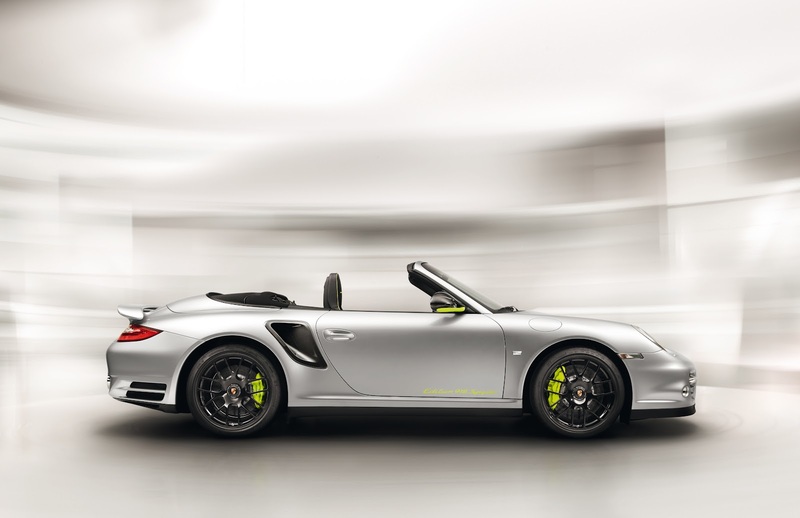 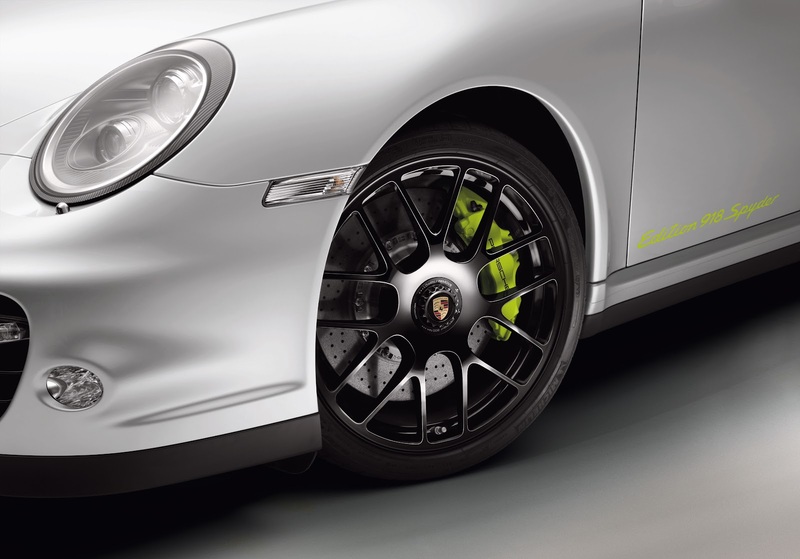 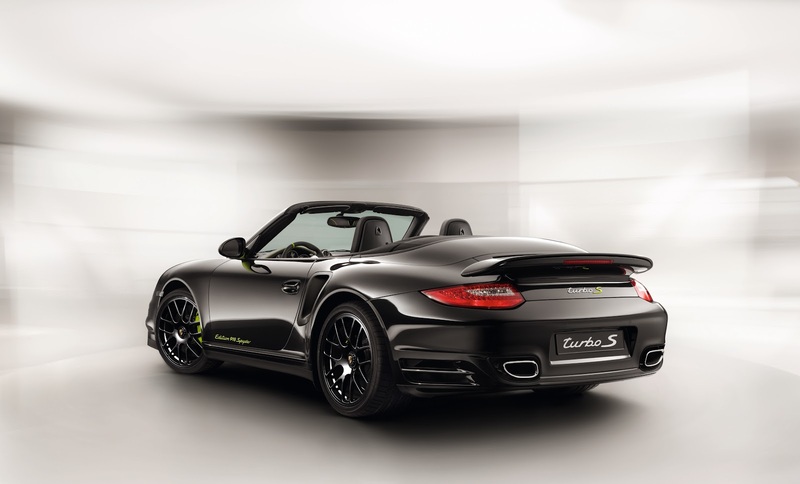 Power transmission to the rear wheels is by means of a compact, seven gear Porsche-Doppelkupplungsgetriebe (PDK). 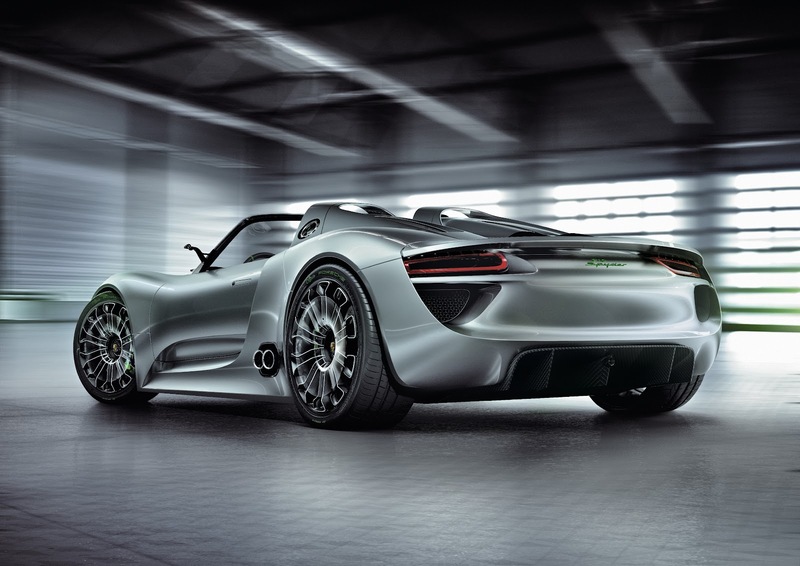 This is complemented by two electric motors – one each on the front and rear axle – with a joint mechanical output of at least 160 k (218 hp). 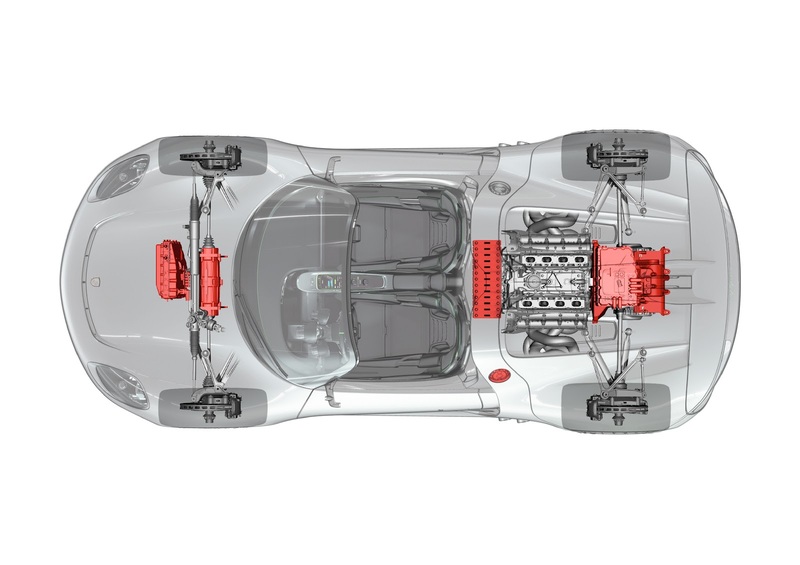 This configuration offers an innovative, variable all-wheel drive with independent control of the propulsion force on both axles. 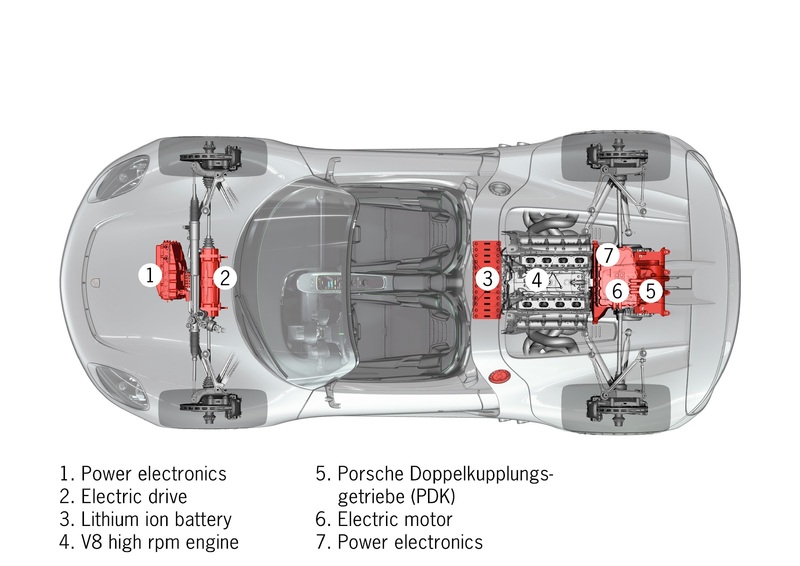 The energy storage unit is a liquid-cooled lithium-ion battery that can be charged from a conventional domestic power socket, delivering a range in excess of 25 km (16 miles) in the NEDC on purely electric power. 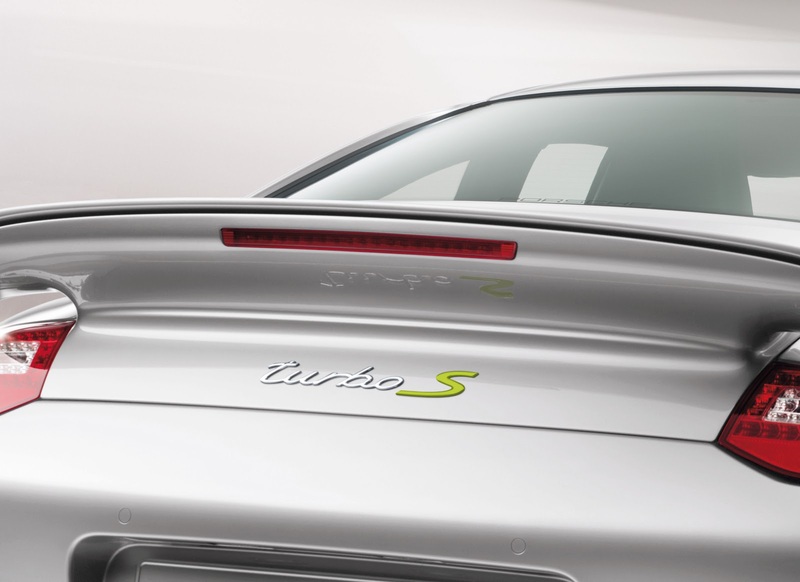 The charging time depends on the country-specific mains network, being approximately three hours in Germany, for example. 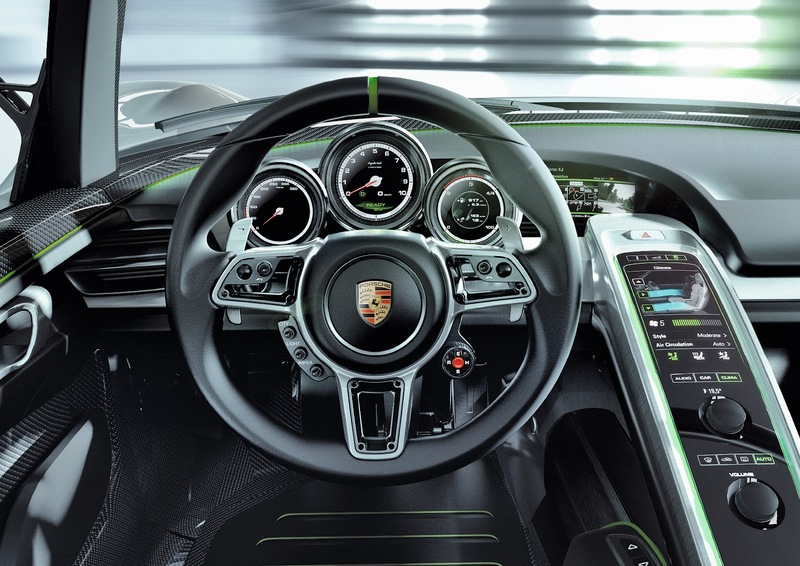 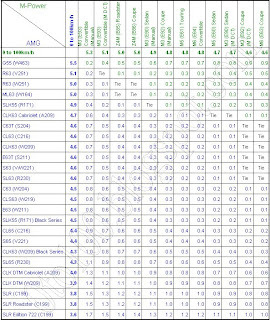 A quick charging option is planned to reduce charging time yet further.